Avery Sharpe is an Artist Associate in Jazz Bass, and Jazz Coach at Williams College. He is also Faculty Advisor for the Williams Gospel Choir and affiliated faculty for Africana Studies. 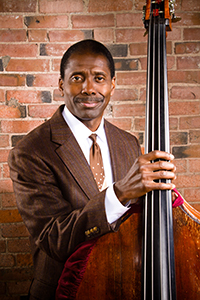 Bassist Avery Sharpe was born in Valdosta, Georgia and his first instrument was the piano. “I started playing when I was eight years old,” he recalls. “My mother is a piano player/choir director in the Church of God in Christ, and she gave lessons to everybody in the family—I’m the sixth of eight children—but it didn’t stick until it got to me.” He moved on to accordion and then switched to electric bass in high school. He studied economics at the University of Massachusetts while he played electric bass in gospel, funk, and rock groups. With encouragement from renowned bassist Reggie Workman, he learned acoustic bass and soon was performing with Archie Shepp and Art Blakey. In 1980, Mr. Sharpe won a spot in McCoy Tyner’s group and worked with him for the next 20 plus years, playing hundreds of gigs worldwide and appearing on more than twenty recordings with Tyner. Mr. Sharpe’s credits also include sideman stints and recordings with jazz greats like Dizzy Gillespie, Wynton Marsales, Yusef Lateef, Bobby McFerrin, Pat Metheny Billy Taylor. and many more His first recording as a leader was the 1988 album Unspoken Words on Sunnyside Records. In 1994 he started his own artist record label, JKNM Records. To date he has more than 10 titles as a leader for JKNM Records, his latest JKNM recording is Avery Sharpe-Sojourner Truth-Ain’t I A Woman released in August 2012 and features: Jeri Brown, Onaje Allan Gumbs, Yoron Israel, Craig Handy and Duane Eubanks. Mr. Sharpe is equally adept at songs and longer compositional forms. In 1989, he wrote and conducted the soundtrack for the movie An Unremarkable Life. A decade later, his six-movement piece America’s Promise debuted with the Springfield Symphony Orchestra. In the 1990’s Sharpe received a commission by the classical group Fidelio to write three extended works. In 2004, he wrote a musical portrait for the stage for Chamber Music Plus. The stage production Raisin’ Cane, has been touring since 2007 and features the actress Jasmine Guy and Sharpe’s Trio. In 2006, he was commissioned by the Springfield Symphony to write a Concerto for Jazz Trio and Orchestra, which premiered in the 2007, featuring the Trio with (former “Tonight Show” musical director) Kevin Eubanks on acoustic guitar. 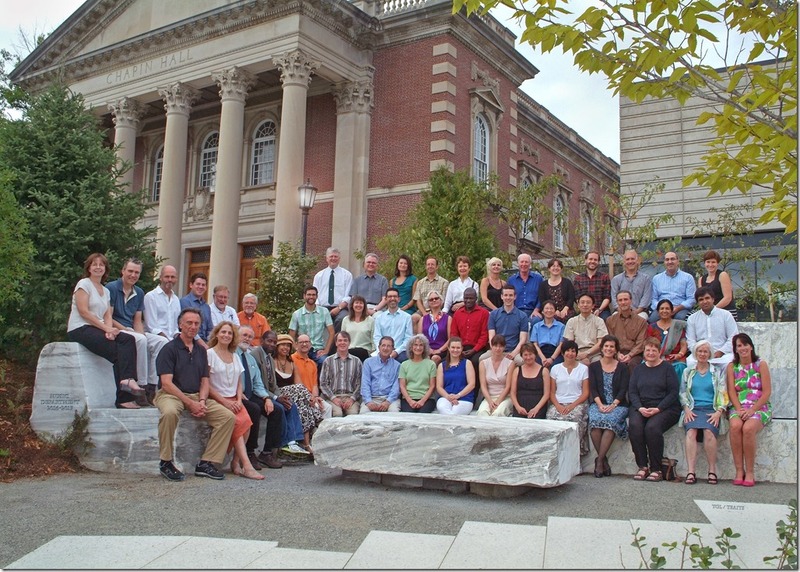 Avery Sharpe’s extensive educational activities include numerous clinics and workshops at home and abroad. He has presented at the University of Massachusetts, Williams College, Berklee School of Music, Bates College, the University of Miami, and at colleges in Peru, Brazil, Australia and elsewhere. His awards include The NAACP Martin Luther King Jr. Special Achievement Award, several National Endowment for the Arts Grants and the NEFA 1997 Achievement in Jazz Award.